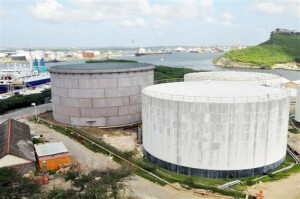 WILLEMSTAD - The oil refinery Isla has resumed the fuel supply to Curoil. In a press release, the refinery stated that they want to take responsibility. A lawsuit against Curoil against Isla to enforce delivery is therefore not necessary anymore. Also, the emergency plan of Curoil to get fuel elsewhere is put on hold. Isla did not supply fuel for a while, because the payments from Curoil did not go to them but to ConocoPhillips, the American company that seized PDVSA’s funds. The judge has now lifted that seizure.